Over a hundred years ago, Captain Peabody Fawcett R.N Red'd made his way to the river head of Ubangi in Central Africa. Since then, the fearless adventurer has been missing. But happily, he left much more than only his motto "to keep one's chin up". In 1997 a mysterious suitcase appeared which contained the protocol of the sailor. The suitcase was filled with creams, ointments, balms as well as detailed recipes of the personal grooming products of the captain. This made it possible to provide the modern gentleman with precious, almost forgotten knowledge, plus the world-wide famous Moustache Wax of Captain Fawcett. His courage and willingness to take risks was as legendary as his impressive moustache. Whether on rough sea or before battles, the adventurer never neglected his grooming. His personal and award winning beard wax delivers always the best results. 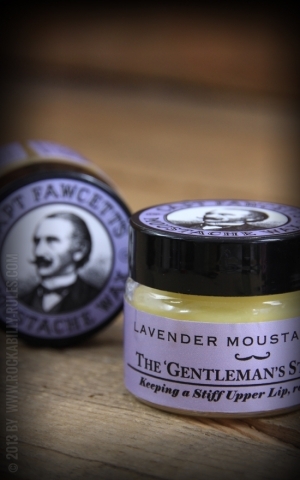 You will definitely bring your beard in perfect shape with Captain Fawcett's Moustache Wax, made from natural ingredients only. Three different flavors ensure that you don't only look like a gentleman but also spread proper scents like lavender, sandalwood and ylang ylang. You'd better always carry one in your pockets. This way, you are always prepared for every expedition. 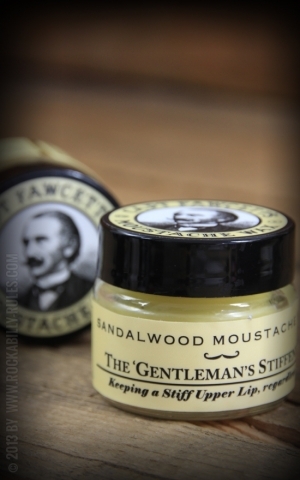 Get your beard into shape with Captain Fawcett's Beard Wax available in our shop!